Suitable for all skin types, this anti-ageing serum encourages the synthesis of elastin and will restructure your skin over time. Hyaluronan 1 and 2, both extracted from Yeast Biofermentation, help to reduce lines and wrinkles, whilst increasing firmness. In addition, Phycocolloids from Microalga help to hydrate the skin and provide relief. 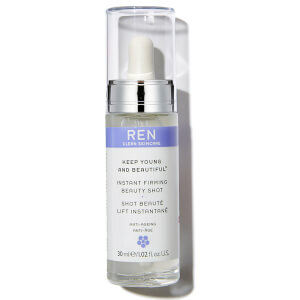 Your skin is proven to feel softer in just 30 minutes, boasting a smooth, lifted appearance. Contains no Parabens, Sulfates or Phthalates. Vegan.